Tobacco use can lead to life-threatening conditions including cancer, heart disease, and stroke. 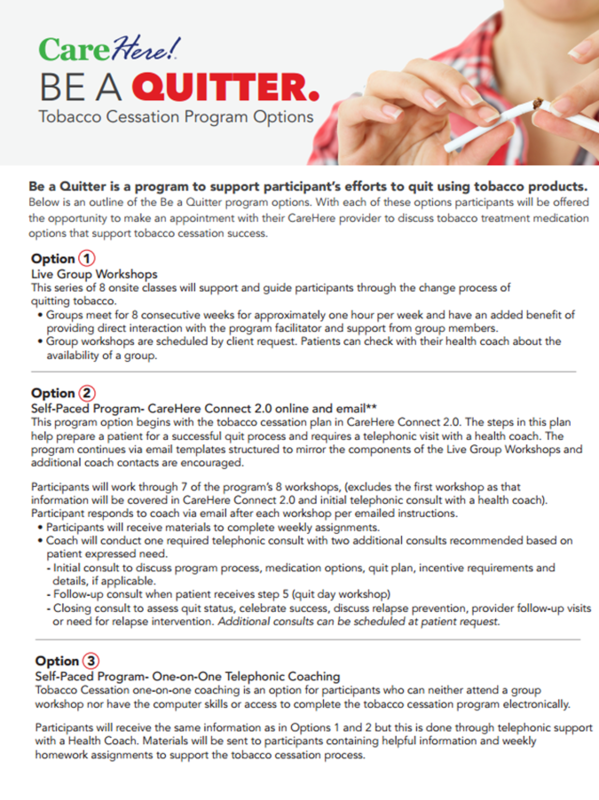 Here is what is available to help YOU kick the habit. Click on the brochures below or visit our Wellness Calendar for more information. Click here to download a printable version of the Tobacco Free Workplace Guidelines and Resources. 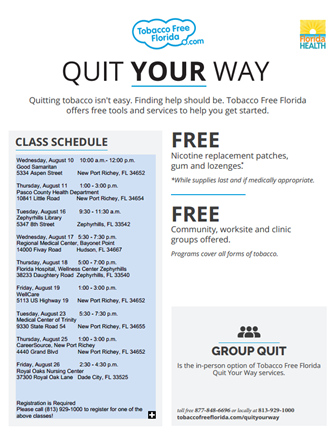 Click here to learn more about the tobacco cessation resources through Florida Blue. 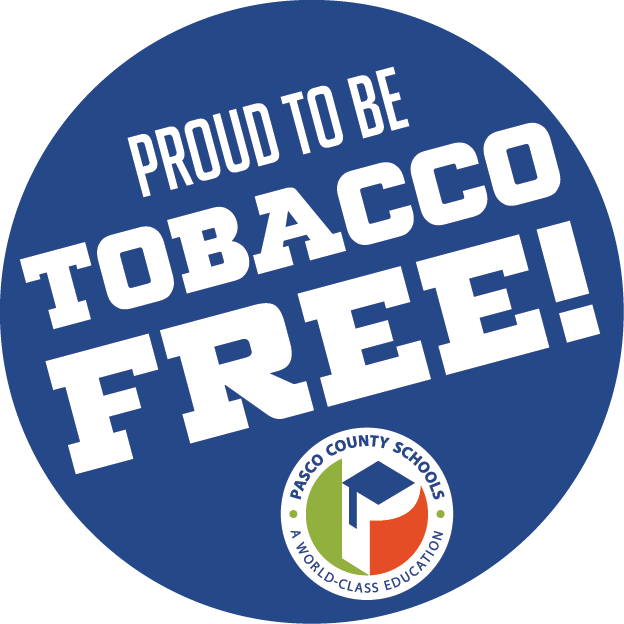 Pasco County Schools has been recognized by the Florida Tobacco Cessation Alliance (FTCA) for our commitment and dedication to our employee’s health and wellness! 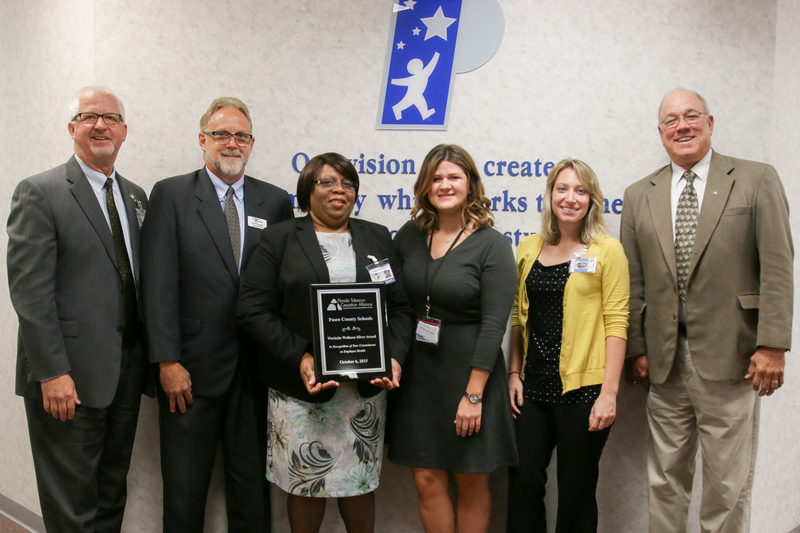 FTCA presented the Silver Level Award at the October 6, 2015 board meeting.